The results blew our minds. These nine winners have solutions in health care, humanitarian mapping, internet access, and more. Over the next 18 months or so, USAID will test the promising solutions and will capture evidence of their effectiveness. In the following phase of this Challenge, we plan to scale proven solutions with grant funding for maximum reach and results. Millions of Nigerian women are prohibited from using the Internet or smartphones, contributing to inequality and exacerbating poverty. Equal Access International will produce a 12-episode show for a popular Nigerian radio station to break down gender stereotypes, challenge cultural taboos, and promote skills and opportunities for women and girls to use digital technology. The show writers will use data collected from focus groups discussion and input from activists, village elders, religious leaders, and community representatives to develop compelling storylines and content. After each episode, facilitators will lead discussions with families with the goal of empowering women and girls to use digital technology. In Northern India, low-income women have limited access to information. Women may not be able to use the Internet due to costs and low literacy. Gram Vaani will develop a mobile phone-based platform where women can create and share content on topics such as labor rights, maternal and child health, livelihoods opportunities, and human rights. This platform will allow women an opportunity to learn from their peers, safely voice concerns, and discuss collective solutions to their most pressing challenges. A network of community leaders and volunteers will then advocate for the issues to be addressed by local decision-makers, leading to greater representation of women in community decision-making. Often, women are not included in decisions that impact their daily lives. Humanitarian OpenStreetMap Team will train young women and vocal male allies in Paraguay, Tanzania, and Peru on information and communications technology and geographic information systems to collect and plot out data on free, open source maps. For example, a map can illustrate where there are high occurrences of sexual harassment and violence. The maps can then be used as an advocacy tool with local government to affect positive change. Through this project, female mappers can be empowered and supported in areas where leaders are not typically female, setting an example for the whole community. In the Dominican Republic, low-income women disproportionately are denied access to credit because they lack credit history, property rights, and formal earnings. The Innovations for Poverty Action program uses data from mobile phones to test new credit scoring models. The models determine the best predictors of creditworthiness separately for men and women, making it possible for women to gain a credit score. By using digital technology, more women will have access to financing and have the resources needed to be entrepreneurs. 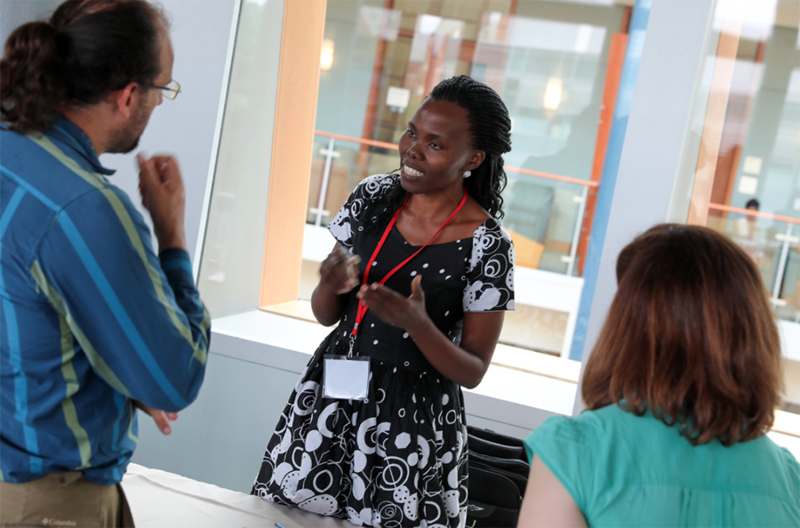 Lillian Achom, Project Manager at AFCHIX, presents her organization’s solution to addressing the gender digital divide to USAID and other industry experts in a Solver Gallery Walk at the WomenConnect Solver Symposium this past summer. AFCHIX creates entrepreneurial opportunities for rural women in Kenya, Morocco, Namibia, and Senegal to operate local internet service providers and work as network engineers. This initiative improves connectivity and builds the capacity of communities to establish and maintain telecommunications infrastructure. The entrepreneurial and empowerment program helps women establish their own companies, provides important community services, and positions these individuals as role models. 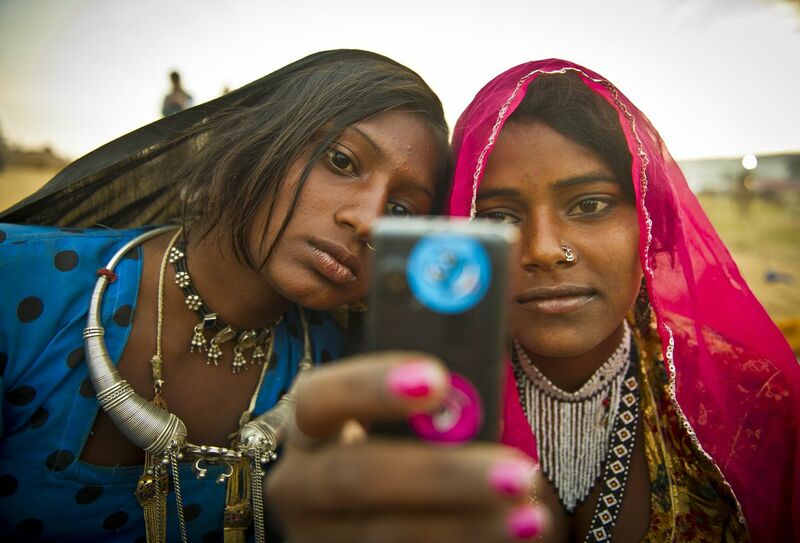 India has a substantial digital gender divide, especially for low-income women. Evidence for Policy Design India at the Institute for Financial Management and Research will develop a phone-based information delivery service that provides women with useful information about government programs and benefits. The messaging service will be available to women in more than 150 villages who recently received connected smartphones through a government of India program. By creating information that directly benefits women, women will benefit from this access to digital technology. In the Malian slum Sabalibougou, where women do not have the means to access quality health care and related services, Mali Health is using technology to help these women connect, access services, and increase their financial and decision-making autonomy. Through a custom social network application designed for a basic cell phone, women in local savings and loan groups receive information on preventative health, as well as ways to access and finance health services for them and their families. The social network application is voice-based so that it is accessible to low-literacy women, who are the primary intended users, and supports local languages. GAPI, a Mozambican Development Finance Institution, and Bluetown, an internet service provider, have joined efforts to create “Women in the Network,” an entrepreneurship program that provides rural women with technical skills courses and the ability to lease or finance phones. They help incorporate these women into the digital agricultural marketplace and gain access to income-generating activities. Viamo aims to tackle barriers for women in Tanzania and Pakistan such as low digital literacy, and the perception that mobile internet is not relevant to their lives. Viamo’s free, on-demand information service, 3-2-1, partners with mobile network operators in 15 countries in sub-Saharan Africa and Asia to provide low-literacy women with interactive, educational content to access life-saving information and digital literacy training. Stay tuned for future WomenConnect blogs as we follow our winners’ progress over the course of their grants and look at lessons learned from the field!